Available to stream from Spotify, this album features Karen O performing tracks from her solo album Crush Songs, along with her movie soundtrack tunes, “Hideaway” from Where The Wild Things Are, and the Oscar- and Grammy-nominated “The Moon Song” from Her. 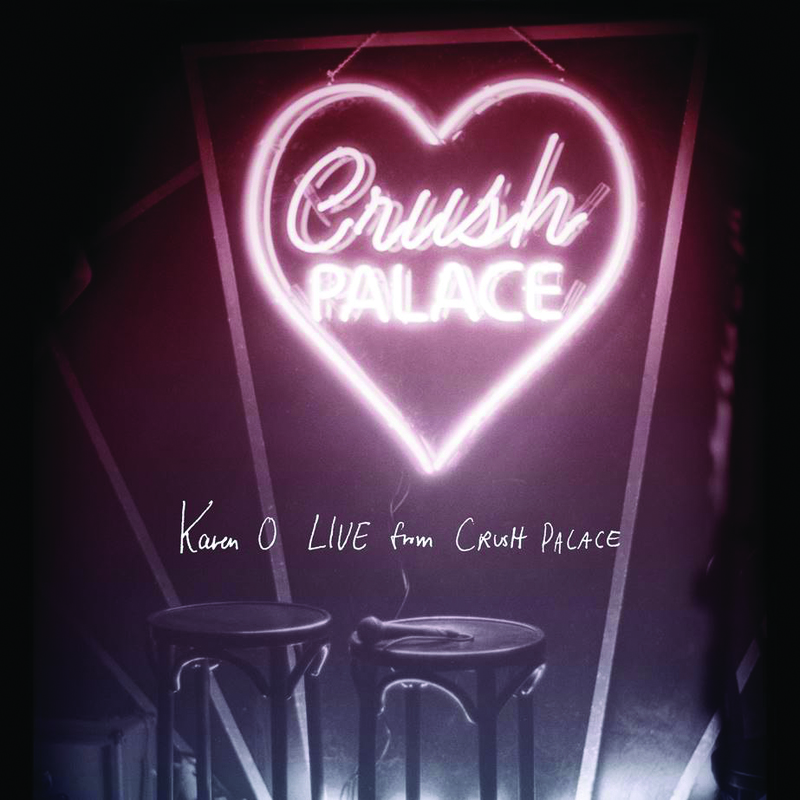 Live From Crush Palace was recorded at Karen’s three sold-out nights at the Hollywood Forever Cemetery’s Masonic Lodge in Los Angeles last year. This is the first time fans can hear all the songs live outside of O’s string of dates in intimate, handpicked venues in New York, London, Berlin, and Los Angeles. The album features the talents of Moses Sumney and Holly Miranda in the band, and special guests such as her YYYs bandmate Nick Zinner, Vampire Weekend’s Ezra Koenig, and Liars’ Julian Gross.